Beth El is a wonderful community. It has been my privilege to be a part of it for more than 30 years and to be its spiritual leader since 2001. My leadership philosophy is simple. I learned most of it from my days at Hillel. Offer the richness of the Jewish tradition in as many ways as possible. Build a big umbrella that can include people with diverse backgrounds and viewpoints. Offer alternatives for services/education/socializing, because one size doesn’t fit all. Empower the members to take ownership of the program; it is the only way it will grow. Beth El is my community and it provides all I could ever ask in caring and concern, not to mention intellectual stimulation. I hope you will find the same in it. Sometimes that happens automatically, but sometimes you have to do some reaching out yourself. I promise you that we will reach back. You can find me at 301-652-2606, ext. 318 or wrudolph@bethelmc.org. Rabbi Bill Rudolph has been with Congregation Beth El since 1983. He served on a part-time basis about half of that period, during which he was the associate international director of Hillel: The Foundation for Jewish Campus Life. He was number two at Hillel when it achieved the Renaissance that changed the face of the American Jewish community. He was elected as Beth El’s associate rabbi in 1996 and rabbi in 2001. Rabbi Rudolph took a leadership role in Beth El’s multi-faceted response to Middle East crises in 2002 and 2006, including two $1 million dollar rallies for the Israel Emergency Campaign. He is recipient of the Federation’s Matthew Simon Rabbinic Leadership Award. His position with the Federation includes the Federation Board (many terms), its Planning & Allocations Committee, its Rabbinic Cabinet, and its Missions Committee. He was co-chair of the Community Division and the Affinity Division of the Annual Campaign. Rabbi Rudolph is married to Gail Fribush, who is a consultant with the International Baccalaureate and an active participant of the Beth El community. He is the father of three children: Dan, Sara, and Marc. He has two grandchildren. In 2014, Rabbi Rudolph announced that he would be retiring as head rabbi for Congregation Beth El in the summer of 2015. He has a lot of projects and ideas that have been awaiting his having some free time. 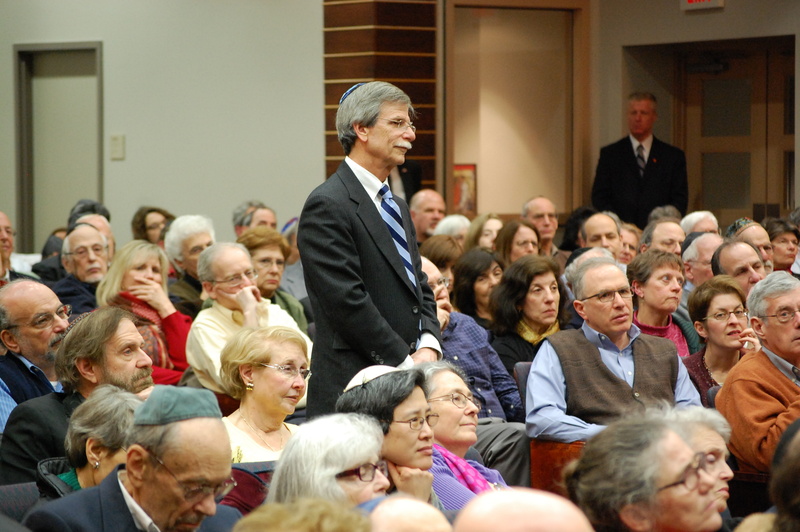 At the Annual Congregational Meeting in May of 2014, Rabbi Greg Harris was elected by an overwhelming majority to succeed Rabbi Bill Rudolph when he retires.